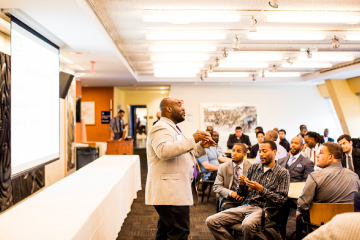 NYC Men Teach engages and recruits men of color to become teachers in New York City by providing early career support, professional development, mentoring, and networking services. 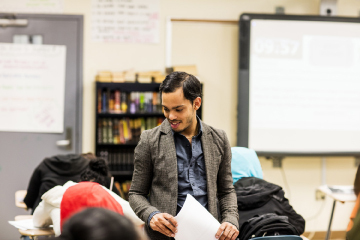 There will be an additional 1,000 men of color in our teacher pipeline by 2018. 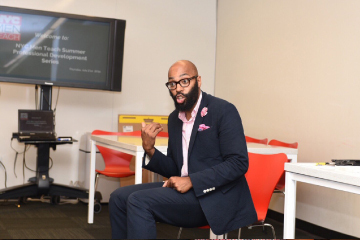 Professional development, program fellowships, and innovative school partnerships are ongoing. 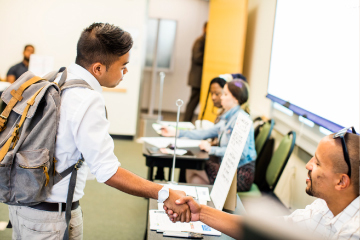 Mentors and CUNY counselors provide guidance and support. We showcase a variety of pathways to teaching through our network. American Disability Act Update: We are working to make this website easier to access for people with disabilities, and will follow the Web Content Accessibility Guidelines 2.0. If you need assistance with a particular page or document on our current site, please use the Contact Us (NYC Men Teach) menu item below.